I enlisted in the United States Army — and nearly gave my life for America — because I believe deeply in the values for which the United States stands. Following my service, I chose to volunteer with the Israeli Defense Forces (IDF) because, while we may be on different sides of the world, our countries share the common ideals of freedom, democracy and mutual respect for all people — ideals that are foreign in much of the Middle East. During my time in Israel, I learned at the Shabbat tables of my hosts just how much each family truly desires peace between every neighbor of Israel, regardless of religion or history. Sadly, the current administration’s shameful failure to veto the anti-Israel and anti-Semitic United Nations Security Council Resolution 2334 last week will undermine this desire for peace, as well as the security of the United States and the safety of Americans traveling abroad. The only sustainable solution to this decades-long conflict is direct negotiations between the Israelis and the Palestinians. Israel has shown they are willing to negotiate in good faith. The Palestinian Authority, on the other hand, endlessly shops the international community for an answer they want and manipulates the United Nations to impose Palestinian terms on Israel. The cowardice shown by the administration in yielding to the will of the Palestinian Authority sends the backwards message that Palestinians are justified in their decades of terrorism. The Iran nuclear agreement, the apathy toward the BDS (Boycott, Divestment, and Sanctions) movement and now a move to condemn Israel for existing on their own lands will all result in the isolation of Israel from the West, leading to an emboldened Hamas and the death of more innocent Israelis. Even Secretary of State John Kerry, in a speech given in attempt to defend the failure to veto the resolution, listed an extensive record of Palestinian aggression, which includes rocket attacks, stabbings, vehicular attacks, attacks from tunnels and many other acts of violence that have been praised by Palestinian leadership. If the United States had a neighbor repeatedly attacking us the way Secretary Kerry described Israel being attacked by Palestinians, that neighbor would cease to exist. I have worked to strengthen the relationship between our two countries, as both a private citizen and as a soldier, because the national security of the United States is directly tied to the strength of Israel and because it is the right thing to do. Over the last eight years, the administration has devalued America’s standing in the Middle East and held Israel at arm’s length, while embracing our common enemies. In my new role as a Member of Congress, I will advance policies representative of the will of my constituents — and in this case the overwhelming majority of Americans everywhere — to embrace the Israeli people as the friends and allies I know them to be. We must counter this underhanded condemnation of Israel with a show of unwavering support, starting with an immediate relocation of the United States embassy in Israel to Jerusalem. I will also urge my colleagues in the House to take an immediate stand during the first week in January against UN Security Council Resolution 2334. I’ll be proud to say that one of my first votes as a Member of Congress was in opposition to this backwards resolution that will undermine peace for Israel. Here’s the bottom line: the most peaceful country in the Middle East, Israel, is not responsible for the lack of peace in the region. They are in fact the primary reason any peace can be found in the region at all. For me, supporting Israel will never be an issue of right versus left. For all freedom-loving Americans, standing with Israel — for democracy and human rights — will always be an issue of right versus wrong. 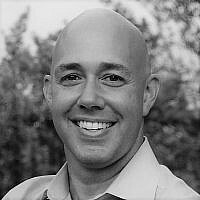 Brian Mast is congressman-elect to the US House of Representatives from Florida's 18th district.